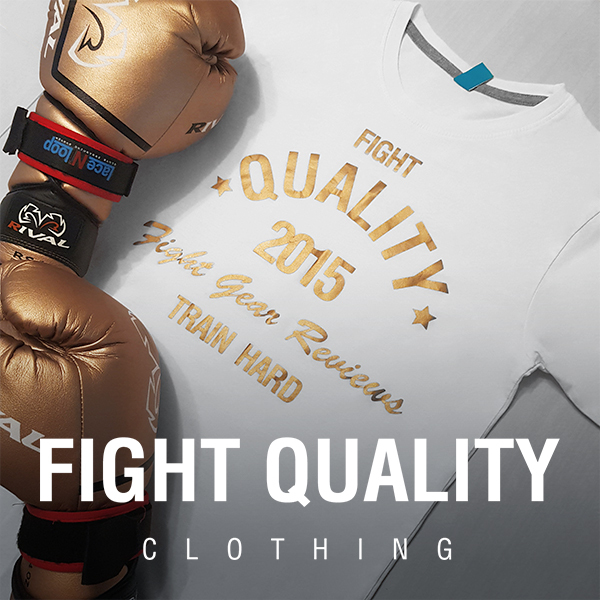 Fairtex are a popular manufacturer of fight equipment, dominantly focused on Muay Thai. The company is based in Thailand and is widely popular, both there and internationally. Originally founded in the 1970s, Fairtex have a long history of producing top quality, handmade equipment, endorsed by many gyms across the world. The Fairtex HB15 Super Teardrop Bag is one of a number of bags offered by Fairtex. The bag is similar to a typical teardrop bag, however there’s a bit more width to it when filled, which changes things up slightly. Fairtex currently only sell these bags in black with white writing, although it’s possible to find them with yellow highlights or green highlights if you look around. Personally we’ve used the green and black version, which I think looks great and stands out in the gym. In terms of style though, this bag fits in right alongside the rest of Fairtex’s range, looking similar to the HB12 Angle Heavy Bag we’ve reviewed previously.The visuals are simplistic, with a stylised ‘Fairtex’ written up the sides of the back, and a Fairtex logo in the center of one side panel. As expected from a major Thai brand, Fairtex use high quality materials for the Angle Heavy Bag, constructing it out of their Syntec Leather for durability, along with a heavy duty water resistant nylon lining, and some nylon straps for holding it up. The bag we were testing had been hanging in an open-air gym and used regularly, and other than a few scuff marks around the middle, and a bit of fading on the ‘Fairtex’ text on one side, there wasn’t really anything wrong with the bag. Fairtex is known for high quality craftsmanship, and this bag is no exception. As mentioned already, the bag I tested had been put through its paces constantly, and was holding together pretty well. The stitching wasn’t showing any signs of wear, even on high stress areas such as the joints with the nylon hanging straps. The Fairtex HB15 is possibly one of my favourite bags to use. Obviously you can’t practice low kicks, however the bag works well in almost every area, mainly thanks to it’s shape. It’s much more curved than other teardrop bags we’ve used, almost feeling like a mid-point between a teardrop bag and a ‘wrecking ball’ bag. It’s width means it’s a little heavier and absorbs strikes without swinging too much, and the curvature is enough that you can vary the angle of punches and kicks. I found this bag much more interesting to use simply because you can vary things up a bit more, throwing elbows, uppercuts and knees in ways you can’t really manage on straighter bags. Most bags usually harden at the bottom where the padding sinks down, however this bag seemed to remain fairly consistent all around, which means you’ll have fairly consistent feedback wherever you strike. At the time of writing, to buy the HB15 directly from Fairtex will set you back around £145 unfilled, or £205 filled, which is about the same as most other heavy bags. If you’re buying a bag just for home use you may be more interested in something cheaper, such as RDX’s Heavy Bag, however if you’re looking specifically for a teardrop bag to add to your gym, the HB15 would be a good call.